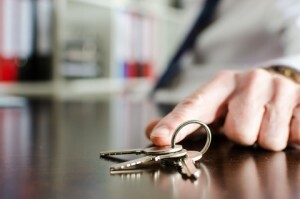 Property Security UK is essential to both homeowners and commercial businesses in effectively securing their premises. Property Security UK provided by SGS Systems Ltd offer a variety of types of burglar alarms, CCTV security and intruder, detection and prevention systems. Operating across the UK, our Property Security UK service, protects single home premises up to multi-national commercial chains. SGS Systems Ltd protect homes of all sizes and requirements, from small and medium sized homes up to high net worth and substantial mansion estates. Our security systems are expandable and will accommodate different uses depending on our client’s needs. We provide wired and wireless burglar alarms to secure individual areas of a property including zoning areas where extra protection is required. Our fog security is our most efficient type of defence; protecting main footfall areas such as halls and landings, the fog security will trigger thick, dense fog, when an intruder enters the property and will prevent them from moving around the premises. Outside or in, our 24/7 CCTV monitoring equipment will capture images of any movement around the property whilst homeowners are at home or away from the premises. Being open for business, means the safety of staff and the public who visit the premises, is the highest priority for all company owners. Here at SGS Systems Ltd, we have the capacity to support UK commercial business. We secure individual units up to national commercial chains, in retail and warehousing, exhibitions centres and travel services, to assure the wellbeing of everyone who uses their premises. With our SSAIB accreditation, we only install the very best equipment to ensure that your premises stays protected. Installing wired and wireless alarms which will zone off allocated rooms and spaces. Our 24/7 CCTV monitoring equipment, for both interior and exterior surveillance captures images and can be used as evidence as and when required. Whilst our most efficient fog security will activate when an intruder enters your premises, filling a space with thick dense fog within seconds, it will prevent them from gaining further entry or stealing stock. For more information about any of our Property Security UK services, please contact our dedicated security protection team today. With a team of experienced engineers and a customer services support, we can add benefit and assist further with your security needs.